Splinter Birthday Cake, a photo by CAKE Amsterdam - Cakes by ZOBOT on Flickr. 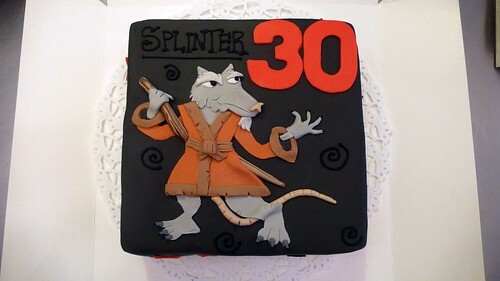 30th Birthday Cake for a dude with the last name SPLINTER... therefore the Teenage Mutant Ninja Turtles master Splinter! Very cool idea ordered by Splinter's girlfriend!